Foreign Journalists and HBO Get Mighty! Ben Yagoda talks to MW kids about fake news at Mighty Writers. 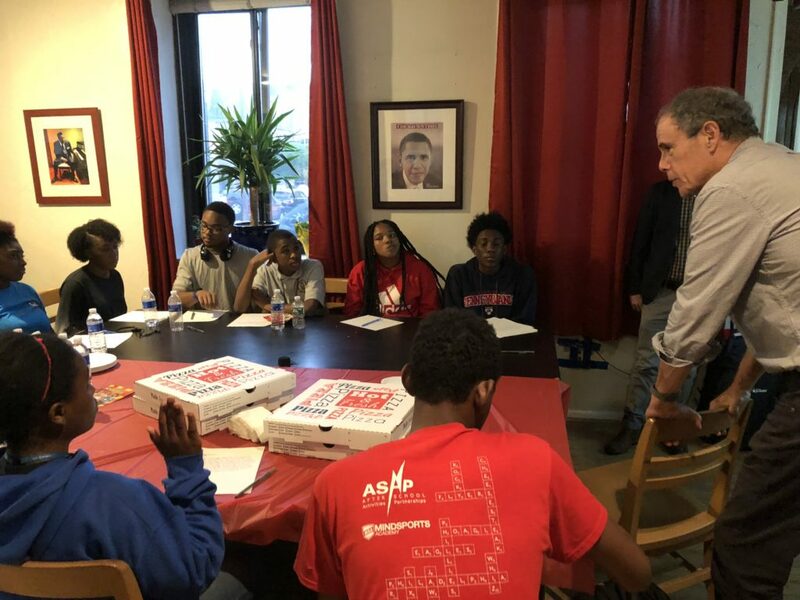 Journalists Ben Yagoda and Matt Katz led a 90-minute workshop with MW teens, exploring how to best determine the reliability of the news we’re getting. Ben Yagoda has been author, coauthor or editor of twelve books and has written for the New York Times Book Review, The Atlantic, The New York Times and Rolling Stone among many others; Katz reports for WYNC and National Public Radio and is the author of a biography of former NJ governor Chris Christie. Katz also won a Livingstone Award for journalists under age 35 for his coverage on Afghanistan. Matt Katz talks about the importance of fact checking. 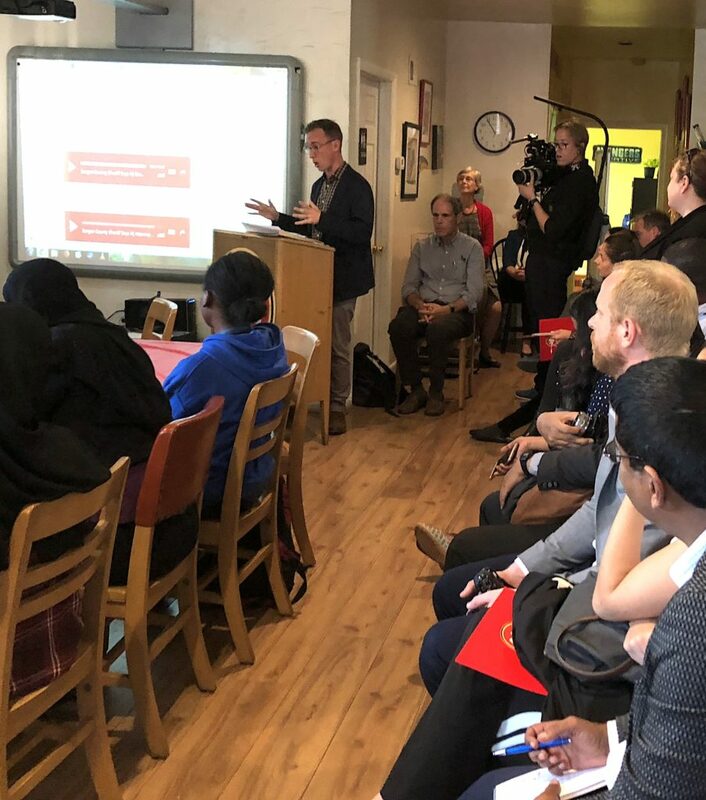 The 24 visitors who came to MW are TV, print and online journalists from Austria, Bangladesh, Belgium, Brazil, Cambodia, Canada, Georgia, Greece, Hungary, Indonesia, Iraq, Latvia, Lebanon, Malawi, Malaysia, Nepal, Nigeria, Peru, Romania, Serbia, Thailand, Ukraine, Venezuela and Vietnam. And HBO was there to film it all for a documentary that will air next year.